In 2019, the history of modernization of the Vietnam stock exchange is what many investors expect. FTSE Russell placed Vietnam on the watch list, which led to the transition from the marginal market to the second level emerging from September 2018. In this way, the fastest until September 2019. Vietnam can be modernized. However, the change between the marginal and rising market level 2 according to Russell's FTSE ranking is not very high. 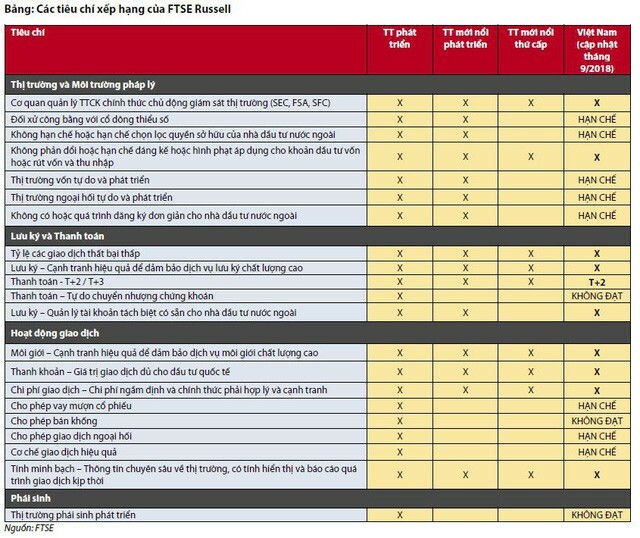 The target of the emerging market level 1 is still far from Vietnam, when there are 3 criteria that do not meet the requirements, and 8 criteria are limited among the 21 criteria of FTSE Russell. 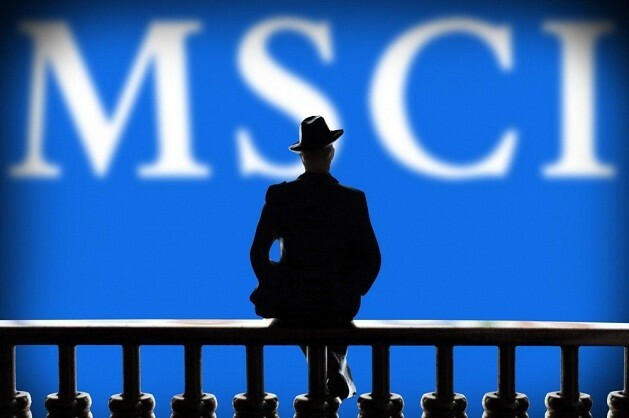 As in MSCI, the requirements for entering the list of updates are more stringent, mainly related to qualitative factors. According to Vu Chi Dung, director of the Department of International Cooperation, the State Securities Commission (SSC), the market ranking is based on self-determination based on hard criteria and soft criteria. Hard criteria are quantifiable factors. Soft criteria are qualitative factors based on the views of investors, analytical organizations and expert groups. An important part that determines the ranking are qualitative factors. Credit rating agencies such as FTSE Russell and MSCI will send surveys to investors to get grade ratings. 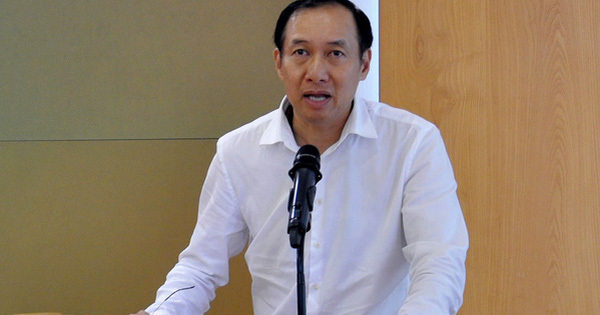 According to the SSC representative, there are opinions of the Vietnamese market that are not attractive for foreign ownership limits (foreign room), access to foreign investors' information and the benefits of circulation. capital flows on the market. To solve these problems, coordination with stock market management, capital markets and ministries and branches is necessary. Because there are separate regulations for each profession. In addition, attracting and retaining foreign capital flows is connected with the problem of foreign currency exchange, foreign exchange reserves … Depending on the period, different regulations apply. Sharing the same view, sharing with NDH, Ms. Hoang Viet Phuong, Director of Customer Analysis SSI (HoSE: SSI), said that foreign peace and transparency, the ability to access information on the market Vietnamese securities are two issues that many foreign investors are asking for. Last year, the change in the foreign balance in companies on the stock exchange did not change much, on the contrary, there was some information about blockades, causing investors to be confused. On the other hand, the issue of deposits for foreign investors is also related to the size of the market. For example, large foreign companies want to invest 5-10% of corporate capital, but the foreign room of many companies is no longer or less, they will not be implemented. The size of the market is not big enough for foreign investors to implement it, they will still be outside. In terms of information, many UPCoM state-owned enterprises have not provided enough money for foreign investors, most of the reports are still in Vietnamese, without English. The legal documents of the management agencies must contain a statement in English so that foreign investors can read and understand them. In addition, other market news, such as licensing, news about press conferences, must also be translated into English. 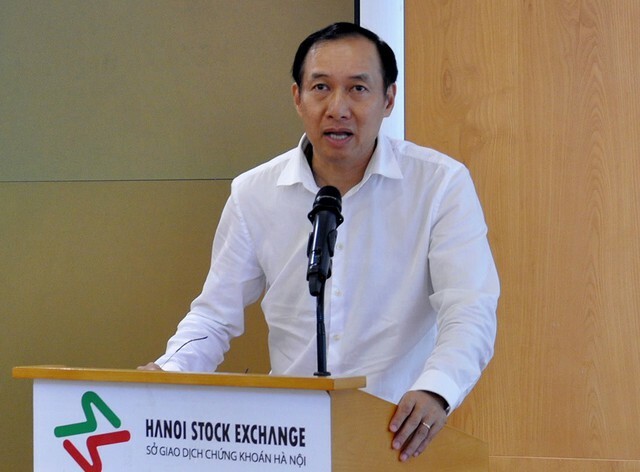 SSC vice president stated that the Vietnam stock market must be promoted on a solid basis, and companies should be good units. The quality of goods must be good, and therefore companies must be transparent financial situation, operations and profitable business. This is the most important factor supporting the sustainable development of the stock exchange. What's more, products on the market must be more available, so that investors have more choice, the size of the market must be larger than large investment funds for investments. Currently, the openness of the stock market in Vietnam is relatively high compared to other countries, except for a limited number of industries, but most of the list of foreign investors may invest; in which many industries have expanded foreign premises to 100%. Therefore, the market is also associated with a certain risk. For example, many securities companies are companies that connect the market, and investors are also 100% invested from abroad. Mr. Pham Hong Son mentioned that although he wants to attract foreign capital, the source of capital must also be long-term, so the market must be good to stop investors. The securities industry has many solutions for the legal framework, but the business itself must be better and at the same time it must fully inform foreign investors.